This hot new trend just makes desserts all the more mouthwatering. (SPOT.ph) We’re not really sure how skillet desserts came about, but lately more and more restos have been coming up with their own versions. According to The Huffington Post, cookies and brownies come out differently when cooked in a skillet. 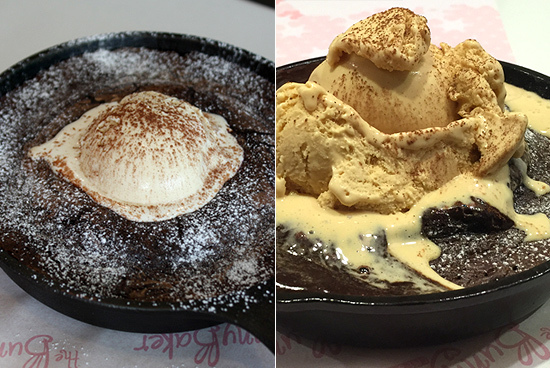 Due to the skillet’s large size, most desserts cooked within tend to have a fudgier center than traditionally baked ones. There’s no hard and fast rule when it comes to making these desserts, but from what we’ve seen so far, it’s bound to be something rich, decadent, and paired with ice cream. From the sweet interiors of this self-proclaimed “cutest café” comes an equally sweet plated dessert. 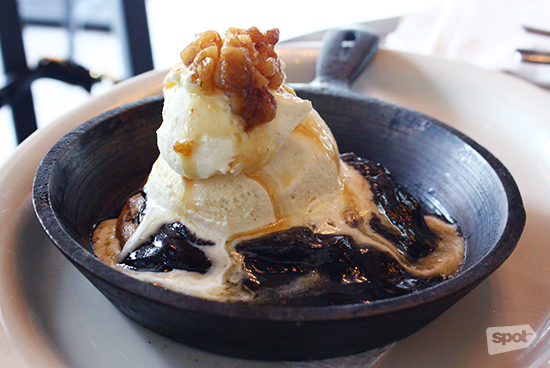 The Ooey Gooey, a molten-center brownie topped with salted caramel gelato, lives up to its name. The skillet is overflowing with extremely gooey chocolate batter and creamy gelato, offering a spoonful of rich, salty-sweet goodness. Bite at your own risk, because each taste is more sinful than the last. The Bunny Baker Cafe is at 3/F Hemady Square, 1193 E. Rodriguez Avenue Corner Dona Hemady Street, New Manila, Quezon City. Read more about The Bunny Baker Cafe. Upon ordering, the The Bowery staff will ask for your choice of cookie “done-ness.” Do you want it "rare" and melty or well-done and crunchy? Whatever you choose, better eat this ASAP, as the tower of vanilla ice cream and whipped cream threatens to melt and flood the plate thanks to the hot fudge sauce slathered all over this cookie. Wet nuts add rough, salty texture to this otherwise smooth plate. 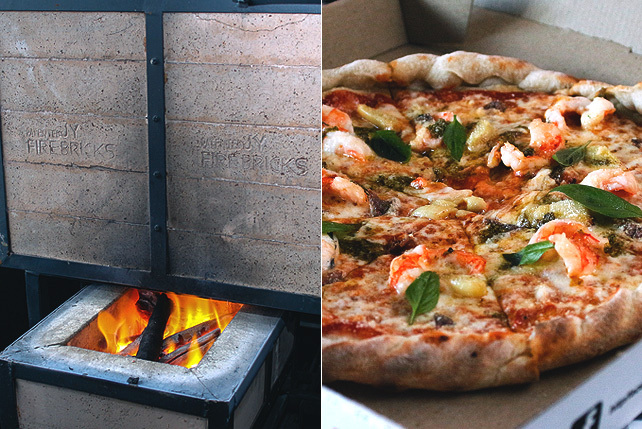 The Bowery is at Forbeswood Heights, Burgos Circle, Bonifacio Global City. Read more about The Bowery. For those who want the campfire experience indoors, this skillet is for you. Wicked Kitchen takes the s’more concept and styles it up in a hot pan lined with delicious melted chocolate. The mallows are puffed to perfection, looking the way they’d look if you roasted them over a bonfire. 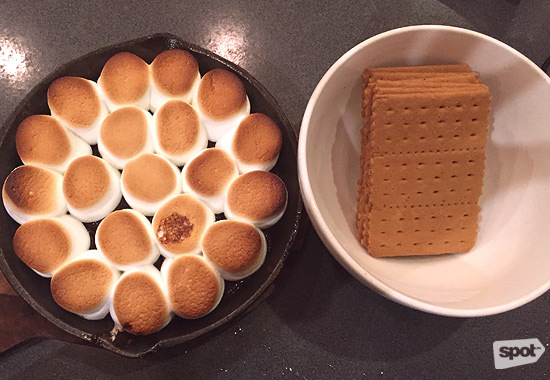 Graham crackers are served in a bowl so that you can achieve the perfect mallow-chocolate-cracker ratio that you desire. Extra crackers can be requested for an additional P25. Wicked Kitchen is at 2/F Maginhawa Building, 189 Maginhawa Street, Sikatuna Village, Quezon City. 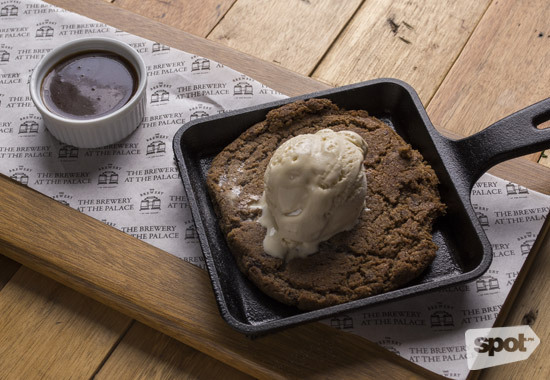 The Brewery puts its own spin on the skillet cookie by adding the resto’s favorite ingredient: beer. The bittersweet taste of beer mingles with the smokiness of the caramel sauce to make for an interestingly flavored dessert. 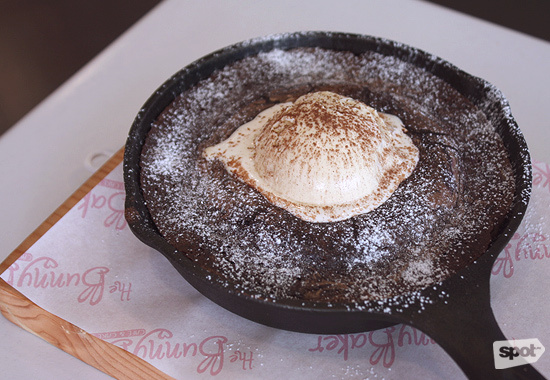 The skillet itself is lined with powdered sugar, giving the chocolate chip extra crunch. This warm cookie is then topped with homemade vanilla ice cream for cool, creamy sweetness. 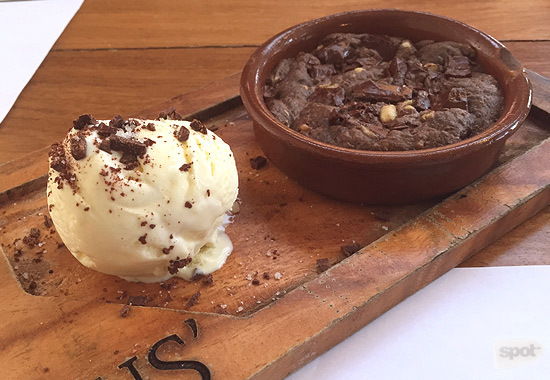 Backyard’s Pizookie is a testament to the mantra, “If it ain’t broke, don’t fix it.” A chewy chocolate chip cookie topped with mantecado ice cream and sprinkled with rock salt, this is probably the simplest cookie on our list. 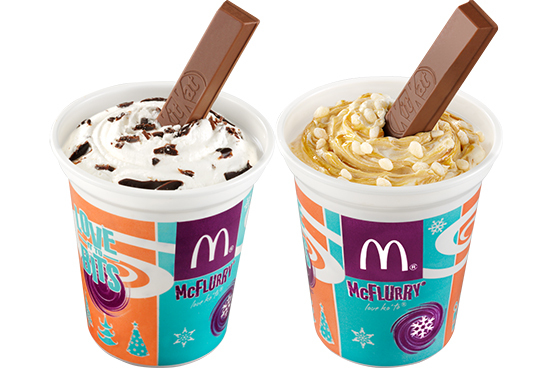 Its classic flavors come together for a satisfying bite, and you’re sure to keep coming back for more. For those who want something a bit more adventurous for dessert, Backyard also offers the Pizookie in Banana Nutella and Bacon Peanut Butter at P425 each. Backyard Kitchen and Brew has branches UP Town Center, Quezon City; The Grove by Rockwell, Pasig City; and Circuit, Makati City. If this list were ranked by overall presentation, The Perfect Pint’s skillet dessert would win all the awards. Aside from the colorful array of toasted marshmallows covering this super soft chocolate brownie, there’s this huge sculptural piece made of spun sugar covering the entire dessert. It’s literally art on a plate. Oh, and did we mention it’s absolutely delicious? The Perfect Pint is at 2/F Crossroads Building, 32nd Street, Bonifacio Global City. Read more about The Perfect Pint. 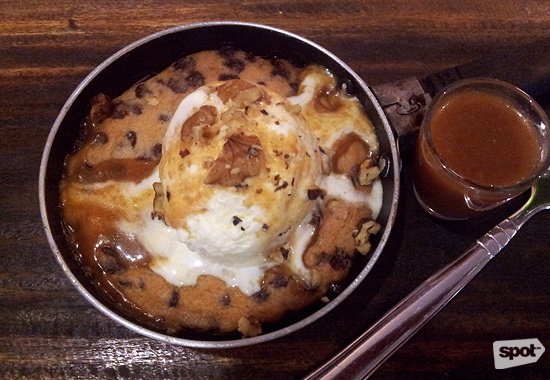 This Pizookie comes fresh from the oven, literally sizzling hot when it gets to your table. A chocolate chip cookie topped with ice cream and walnuts, the spoonful you get is a hot-cold, sweet-salty experience. Every single part of this dessert is just right, nothing is overwhelming or too rich to taste. Drizzle the homemade salted caramel sauce all over the skillet for that additional kick. Bamba Bistro is at 55 Aguirre Avenue corner Arsenio Luz, BF Homes, Parañaque City. 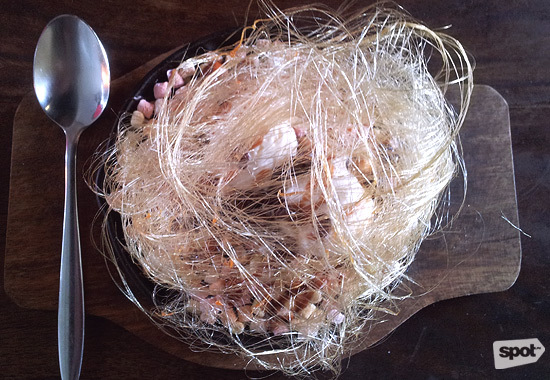 Read more about Bamba Bistro. The only waffle on this list, Taco Vengo’s signature dessert is actually a churro disguised as the breakfast staple. 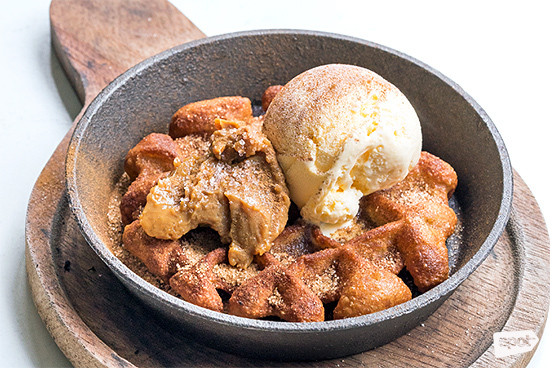 The taste is decidedly closer to a fried pastry, which is enhanced by the contrasting textures of the creamy ice cream, crunchy brown sugar, and smooth salted caramel topping the dish. Crunchy on the outside but soft in the middle, this cinnamon-laced treat is a refreshing addition to the usual skillet fare. Despite having the same components as most of the desserts on this list, Stella’s skillet offering stands out for being the lightest of them all. 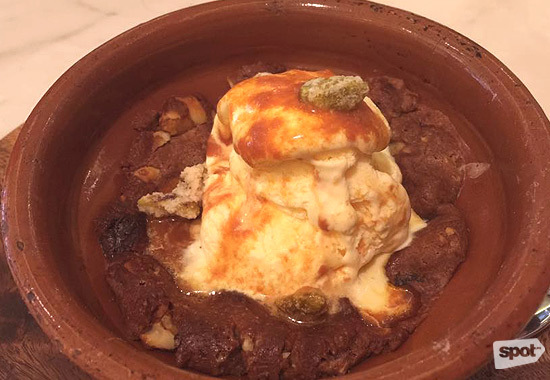 The cookie is not so heavy to taste, and the mantecado ice cream makes for a refreshing partner to the sweet dish. Salted caramel and pistachios add a salty flavor, while a burst of earthy rosemary joins the mix to create a unique overall experience. Stella is at Bonifacio High Street Central, Bonifacio Global City. Read more about Stella. 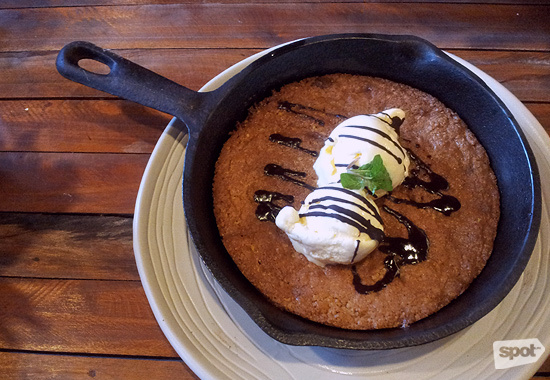 Okay, so TUS’ half-baked cookie is baked in a cazuela, not a skillet, but tomay-to, tomah-to right? The cookie dough is simply delicious–sweet, soft dough embedded with rich chocolate baked just long enough to keep everything moist and creamy. This was such a big hit with the guests that TUS’ followed it up with the Dark Decadence Half Baked Cookie (P220), which is a richer, nuttier version of the original dessert. TUS’ is at Westgate Center, Filinvest Corporate City, Muntinlupa City. Read more about TUS'.